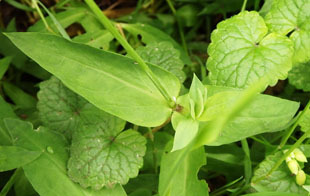 pasture, railway embankments, hedge-banks and waste ground. 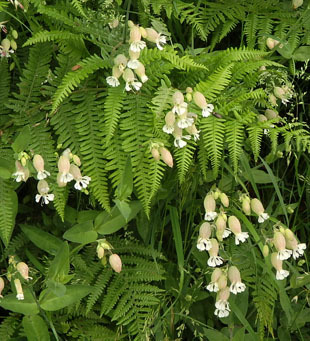 It may be on the decline. 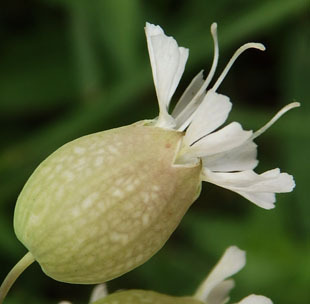 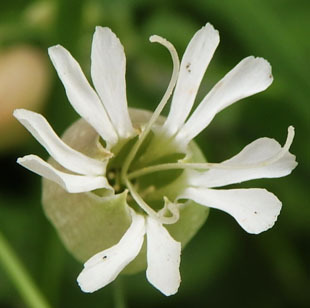 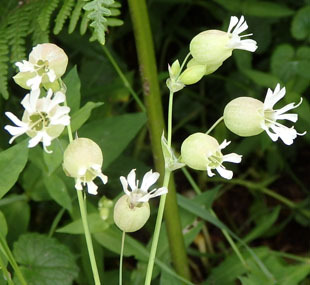 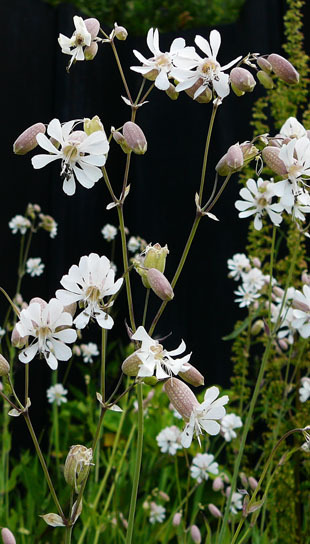 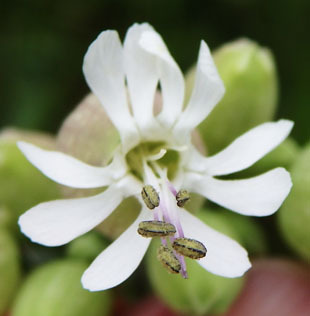 Bladder Campion is a native, perennial herb, growing up to 1m. 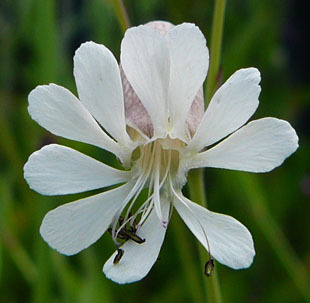 Flowers may be male, female or hermaphrodite. 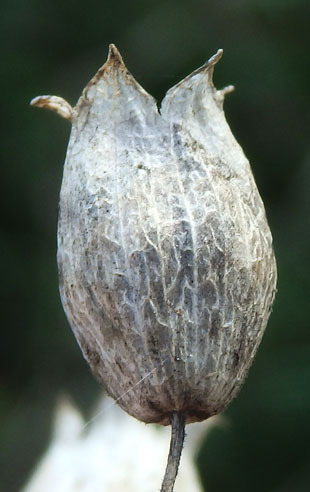 Seeds are produced in a capsule inside the bladder. 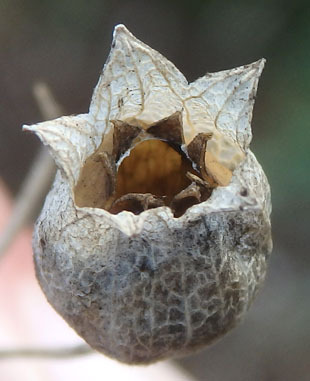 The capsule opening has 6, erect triangular teeth. 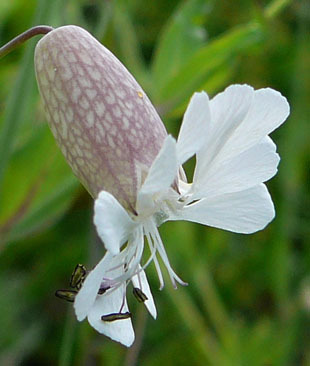 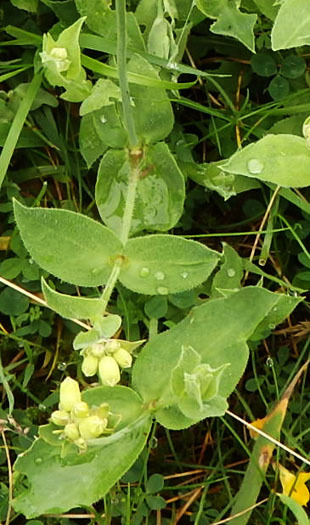 Bladder Campion is the inland equivalent of Sea Campion. 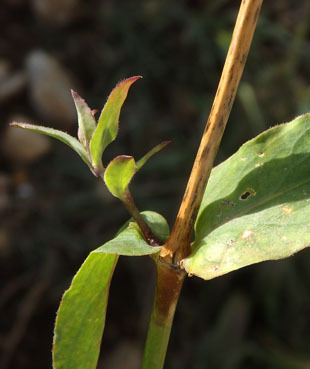 bigger leaves and erect teeth at the mouth of the capsule.